One of the biggest concerns that we have as homeowners is water damage. One of the biggest concerns that we have as homeowners is water damage. It comes because of flooding from a storm, other structural issues to the property, or even our own unfortunate involvement. Either way, we want to ensure that every measure is taken to prevent water damage from affecting the value, look, and structure of our homes. Sensors are one of the first lines of defense against water damage. Water leak sensors will alert you whenever the device detects any water leaks. Simply set them in places throughout your home that may be vulnerable to such an occurrence, like your sinks, washers, your water heater, or on your floor in the basement. You should also keep an eye on your water bill. 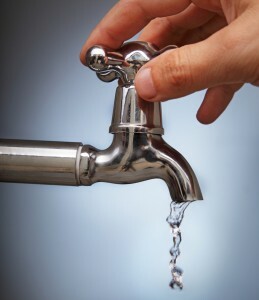 Any increases, even small ones, could indicate that you have a leak. Because not all the pipes in your home are visible, seeing an increase in the bill will alert you to a possible problem. In addition to these preventative measures, there are also physical steps you can take to minimize water damage in your home, including sealing any cracks and immediately repairing any noticeable leaks. This includes inspecting your roof for loose or damaged shingles and checking for dark spots that will appear inside cabinets or on the floor if a leak is present. Pipes aren’t only vulnerable in the winter, rust and other wear can also compromise the structure and cause a leak. Proper draining and a sump pump are also important measures that help prevent water damage in your home. Ensuring that your drainage system is clear and your sump pump is operational will help keep water from collecting in your home. The last tip is to remember to properly discard grease after cooking. It is not safe for your pipe system to pour grease down the drain in your sink as it may solidify and cause damaging blockage. Drain snakes, in the case of blockage, are also better for your pipes as chemical-based products can cause lasting damage. This entry was posted on Friday, September 1st, 2017 at 9:33 am. Both comments and pings are currently closed.